Make it easy on yourself when you pack up for you next gig. Connect up to 8 patch points between 2 cases with a shielded ethernet cable. 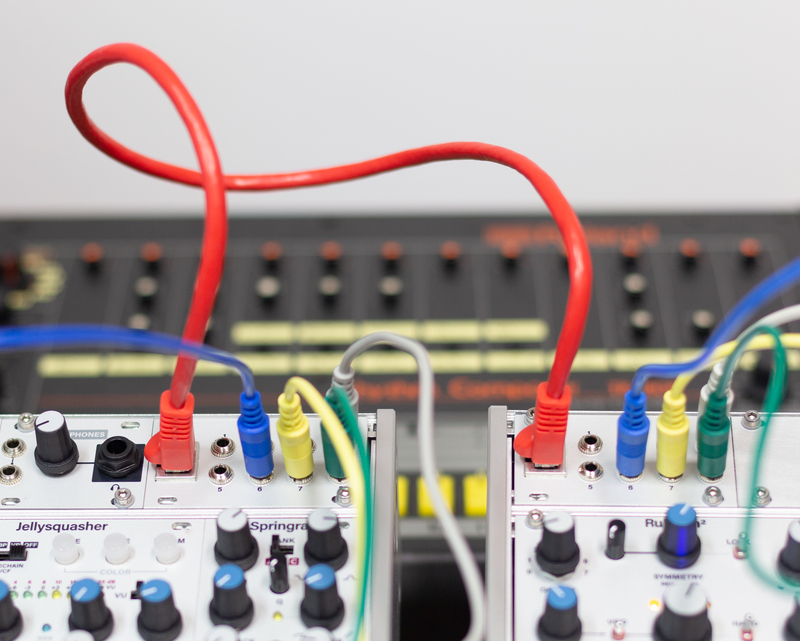 Disconnect multiple racks from each other with a single cable while maintaining the main elements of your patch. Sold in pairs, each Octalink 1U module can be mounted in a separate Eurorack case and connected to the other with a single RJ45 shielded network cable. 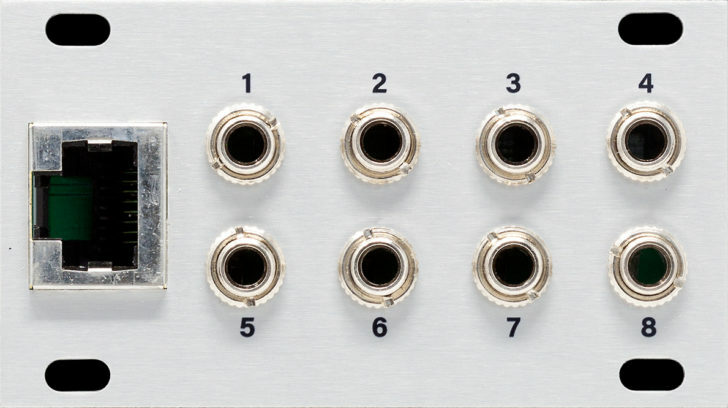 Each Octalink 1U contains eight patch points, which are routed through the RJ45 cable, eliminating the inconvenience or performance problems of running multiple patch cables over extended distances (such as in a studio environment). Any signal patched into a numbered Octalink 1U jack will appear at the like-numbered jack in the connected Octalink 1U. Octalink 1U is also useful for musicians who perform with multiple cases. Any connections you would normally need to make between cases (clocks, gates, control voltages, etc.) can be pre-patched into the Octalink 1U modules. You would then simply connect the two cases with a single RJ45 connector when setting up for the gig.